No one has ever overdosed or died from smoking too much weed. In the history of mankind. Marijuana has been in an “official” state of prohibition since 1937-s Marijuana Tax Act (in the United States). Because, among other reasons, it made white women desire black men. Colorado and Washington legalized cannabis for recreational use this past October. They have estimated tax revenues of over $550 Million from this legalization. There are more medical marijuana dispensaries than Starbucks in Los Angeles and Denver. Because reefer is safter than coffee. Over the last decade, the NYPD has spent 1 Million Hours Making 440,000 Marijuana Arrests. The first law in America relating to cannabis was a 1619 law that actually required farmers to grow the hemp plant. Once harvested, hemp was useful for clothing, sails, and rope. In 1906, cannabis was labeled as a “poison” and states began restricting its sale. By the mid 1930s, cannabis was regulated as a drug in every state. Marijuana is created from the dried, shredded flowers and leaves of the hemp plant Cannabis sativa. Marijuana is the most common illegal drug used in the United States. Approximately 100 million Americans have tried marijuana at least once, and more than 25 million have smoked it in the last year. Worldwide, it is estimated that about 162 million adults use marijuana at least once per year, and 22.5 million use the drug daily. 20% report using it regularly. According to one report, it would take 800 joints to kill a person—but the cause of death would be carbon monoxide poisoning. The name marijuana comes from a Mexican slang term for cannabis and is believed to have derived from the Spanish pronunciation of the names Mary and Jane. (The two names were also common Mexican military slang for a prostitute or brothel.) Marijuana came into popularity as a name for cannabis in the U.S. during the late 1800s. The cannabis plant can grow in nearly any environment and averages one to two inches of growth per day and up to 18 feet total in ideal conditions. Depending upon the weather conditions, soil type, and time of harvest for a cannabis plant, as well as the specific mixture of dried leaves and flowers in the marijuana product, a sample of marijuana can contain anywhere from 3% to 20% THC. The first recorded use of marijuana as a medicinal drug occurred in 2737 B.C. by Chinese emperor Shen Nung. The emperor documented the drug’s effectiveness in treating the pains of rheumatism and gout. The first law in the American colonies regarding marijuana was a 1619 law that actually required farmers to grow the hemp plant. Once harvested, hemp was useful for clothing, sails, and rope. From 1850 to 1942, marijuana was listed in the United States Pharmacopoeia as a useful medicine for nausea, rheumatism, and labor pains and could be purchased from pharmacies and general stores. The last four presidents, including Barack Obama, have all admitted to smoking cannabis. Since Nixon declared the “War On Drugs” in 1971, over a trillion dollars have been spent on it. It takes the average person under an hour to find drugs in a new city. 18 states and the District of Columbia currently have a form of medical marijuana policy. A recent Gallup Poll concluded that 52% of Americans now favor all out legalization. The other 48% are packing their bongs. And 72% of Americans view the War on Drugs as a waste of government resources. The first two drafts of the United States Declaration of Independence were written on hemp paper.Before its ban, hemp was a common cash crop for family farms in early America. About one-fourth of America’s population has tried marijuana at least once. The rest are lying. Studies have proven that the high from cannabis is very comparable to that of a runners high. A recent study proved that cannabis aids both lung and breast cancer-and does not cause any form of cancer. It only cures. The first recorded use of marijuana as a medicinal drug occurred in 2737 B.C. by Chinese emperor Shen Nung. The emperor lauded the drug as a miracle cure for rheumatism and gout. There are over 200 slang terms for marijuana in the popular vernacular. Illegal Toxin is not one of them. Just under 40% of high school students in the U.S. report using marijuana at least once in their life, and 20% report using it regularly. The sale of bongs and paraphernalia is now illegal in Florida. The same state in which self defense with a firearm is legal. Weed is the most frequently used illegal drug in the United States. And the world. The growth, sale and consumption of cannabis is not regulated by the North Korean government or classified as a drug. 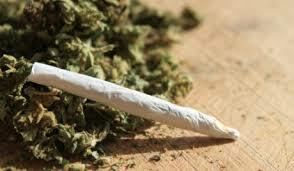 Marijuana is used to fight other drug addictions-most recently, in Bogata Colombia. Accident studies have found that drivers who test positive for marijuana often show no signs of impairment, and in some instances even may drive more safely. Marijuana is not physically addictive. Over 100 Americans have admitted to smoking cannabis in the past year. Over 50 million Americans smoke cannabis on a regular basis-while 1 in 10 teens smoke it more than 20 times a month. Health studies have proven there are no long-term health detriments from marijuana use-only benefits. And a little short term memory loss. Cigarettes Kill 443,000 people a year-in the United States Alone. Vending machines kill 10 people a year. That’s 443,010 more than cannabis has ever killed. Marijuana produces little or no car-handling impairment and significantly less than moderate doses of alcohol and prescription drugs cause. After collecting tax revenue from MMJ collectives for 6 months in 2011, the City of Los Angeles gained over $2,500,000 in taxes from dispensaries. The NBA does not test athletes for marijuana use in the offseason. Marijuana is NOT a gateway drug. Despite what DARE tells you, numerous studies have found it is a terminus and does not lead to other drug use. An estimated amount of over 800,000 people are arrested for marijuana each year, most of which are for simple possession. An NFL lineman estimated that 50% of the league smokes marijuana on a regular basis. And that as much as 90% of the league *probably* uses it. More than 25 million Americans have smoked marijuana in the last year. California is the largest producer and distributor in the United States. And also the biggest loser of said product. Legalization would save the United States an estimated $14 billion per year.